Paid before February 15th: 220€ Extension to 24 of February!! Perception is unique and subjective and never two persons will perceive the same. This uniqueness makes our works and expressions special and gives a lot of power to our body language. I would like to open experimentation on consciously perceiving our environment and using this material for choreographic creation. Among the enormous visual information that is surrounding us, we unconsciously make a selection of necessary information and we forget information that is not interesting. Scientists talk about QUALIA, referring on the idea that things exist only when our brain recognizes them consciously. On the other side, they consider that things exist only if our brain is sensing them (their shape, their texture, their smell…) even if they are not in front of us. 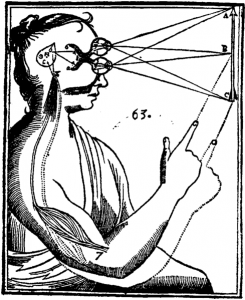 In that sense, reality is not only related to physical perception but also to our imagination. I would like to focus on overcoming the superficial perception of things to go in a deep level, similar to Zen meditation; in which the subject or the self disappears to dissolve with the environment and the universe.